Graduation day: proud moment but…. Go to school, stay out of trouble, get a university degree and all your problems are over, right? 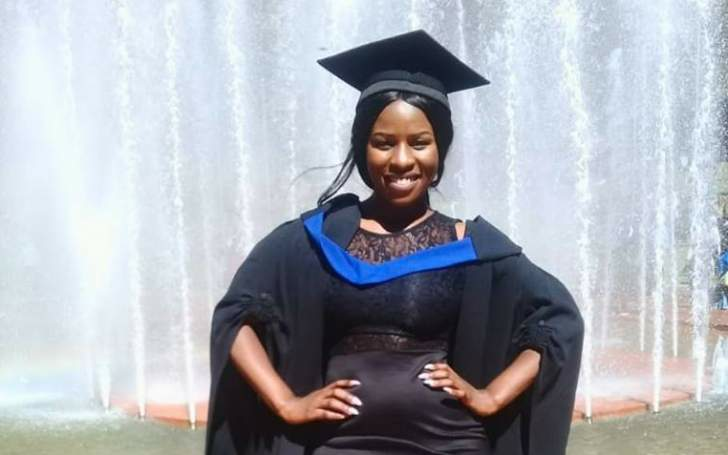 Melissa Ndlovu's story is an eye-opener. You are called in for an interview but you don't have the cash to catch a taxi from ekasi to Sandton for that job interview and you remember you had borrowed R10 from a friend to buy airtime for a phone call to ask that old schoolmate of yours if there was an opening at her work place since you had emailed her your CV five months ago, but unfortunately Cell C took that whole R10 ngoba you had made use of that emergency airtime they offer and you still have R1 outstanding. When you do get that R30 for itaxi to Sandton you realise you don't have that good outfit for an interview, your pumps are torn, that white shirt is cream in colour now and that skirt has lost Its blackness; it's now a shade of maroon. After the interview, you wait for that "we'll get back to you call" for over 4 weeks. When you do finally find someone who'll faka you at work, they require R500 and already you are owing money to people ekasi lakho. Lucky enough you get another loan from your granny's sassa grant to pay off that guy ozokufaka ngeback door, kodwa more trouble comes when you finally get that job ngoba itaxi is R26 every day. You only get one day off so for that whole month before payday you'll need R600 taxi fare and that's money you don't have. Awuna Bae, no significant other who can help you, so you think of that ex you dumped. You put your pride aside and ask him to help and his ego is on another level ngoba you asking for his help uknika R700. No lunch money so every night you eat half your meal so that the other half helps you stay strong at work the next day. Payday comes and you get R2,500 but after deductions it's R2,227.40 but you owe that friend R10 and she's been reminding you of it, your neighbour R30 that you borrowed to go to Sandton, grandma R500 for the bribe, R700 to that ex who's been gloating for loaning you money, Cell C wants their R1 back and Capitec takes R26 for bank charges. So manje you have to deduct R650 for next month's transport to work and you are left with just R301.40 ngapha that pump you've been wearing the whole month to work – hence your new nickname at work "MaPumps" – are so exhausted and a new decent pair costs R200 awuna choice you buy them and all you have is R103.40 for the whole month then you hear of a man who spent almost R200,000 in a club on alcohol entertaining friends and thirsty girls. Lol this life is not fair struuuu. It will never be fair too. Even when Jesus was on earth it was never fair. I don't know if I should laugh or be angry at leaders who keep fooling people by preaching equality. For centuries equality never became a reality and I bet I'll die still hearing sweet nothings from leaders who lie to people just to get votes so they have power. Even them seeking this power shows that equality will never happen. How do you fight for equality when you have power, money, good food and fancy clothes but your people can't even afford a decent lunch at work? When they are staying in shacks and wear the same shoe to work the whole year? The lady I'm talking about above holds a Matric certificate, university qualification and a driver's licence but what's it's worth when there are no jobs? It's not easy, ku rough yerrrr. If you have a job… keep it. I promise you being unemployed is worse.